The Polish Christmas event at The Bellamy-Ferriday House in Bethlehem, CT. yesterday was so much fun. The incredible staff decorated Caroline Ferriday’s house so beautifully and to my surprise, this year’s theme was roses in honor of Lost Roses, the Lilac Girls prequel arriving this spring. 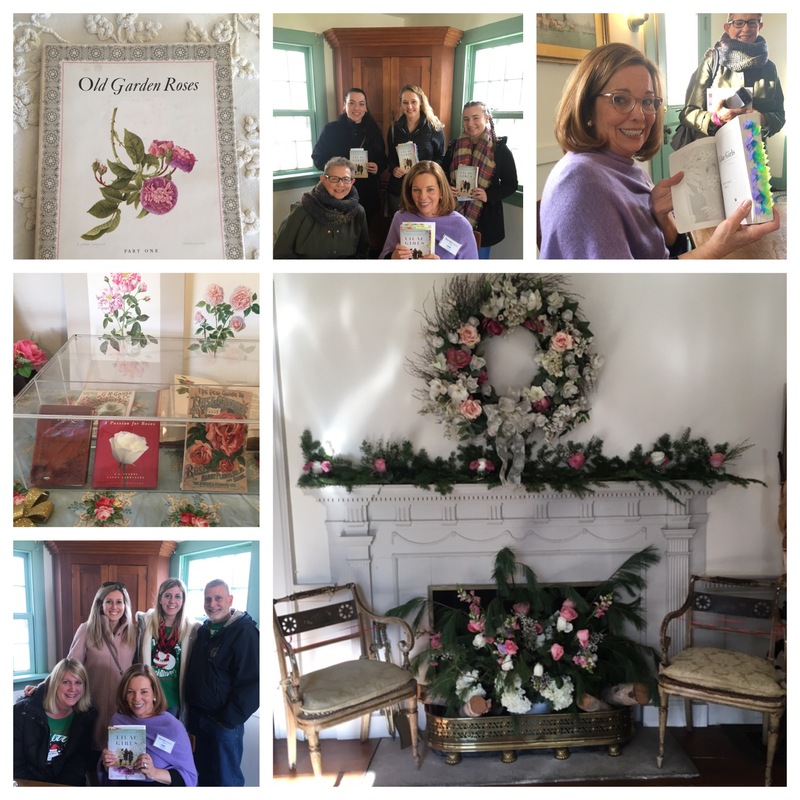 Fresh roses were everywhere in the house, very welcome in a Connecticut winter, and I got to meet so many unbelievably wonderful Lilac Girls fans (even Caroline’s former hairdresser.) I loved meeting everyone, including a teacher with her brilliant students who showed me her copy of Lilac Girls, complete with a million Post-its and the Ott family, all the way from New Jersey, who created a multi-generational family book group to read Lilac Girls. I was delighted to find the house staff has opened a new exhibit on the tour, a rose room, where Caroline’s collection of rose books is displayed with great care. 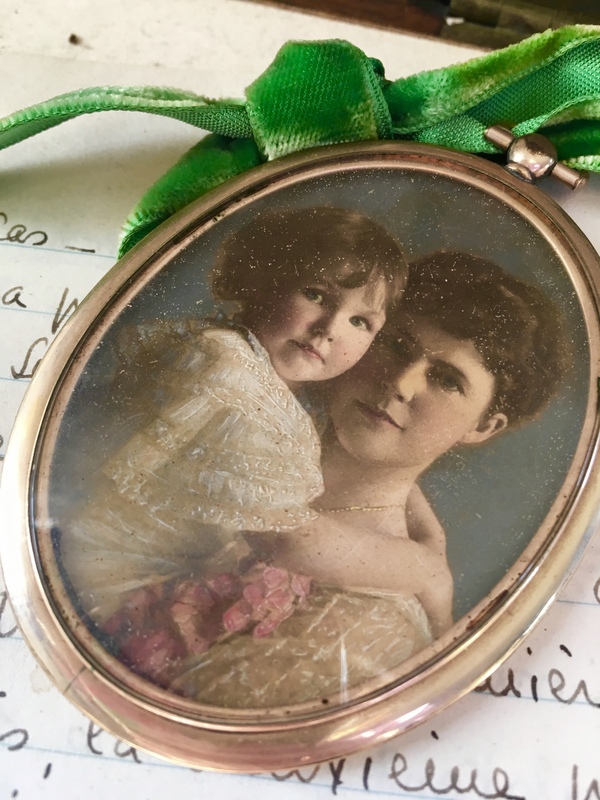 But the biggest surprise of the day came when tour guide Gary Cicognani told me he and site administrator Peg Shimer had opened a hidden drawer in one the desks at the house and discovered a photo of Caroline and her mother Eliza. Isn’t it exquisite? Finding any new photos of Caroline or her family is so exciting for everyone at Connecticut Landmarks, but this one is especially moving, having just finished a book, which focuses on Caroline and her Mother’s strong bond and to top it all, Eliza is wearing roses in the photo. The house will close soon, the house and garden spending the winter months under a blanket of snow, but will open in the spring to welcome Lost Roses with a Random House launch event. Can’t wait for April! Would have loved to have been there yesterday. sign from them. Lets think so!!!!!! Mother and daughter are so beautiful. Such a wonderful discovery. These antique photographs are so cool and this one is in great shape. If your Lost Rose book tour brings you to Southern Pines, North Carolina us NDA girls need to get together. Southern Pines is the home of the North Carolina Literary Hall of Fame. A wonderful small community that is very rich in the arts. A really nice place to retire away from the cold Northeast. I wish you a lovely Christmas! I too look forward to the Spring launch of Lost Roses. I will keep that in mind, Diane. I hope my spring tour brings me to North Carolina! We Brennan’s are so proud of all the work you have done; the beautiful writing; and most of all the recognition by the rest of the world(universe?) of what a special person you are! A lovely guest at the event yesterday told me she’s a patient of Michael’s…thanks for being my best PR! Wow–what a beautiful photo. Photos inspire so much story, I think. So glad to find your site here. It looks great. Really enjoyed _Lilac Girls_ and I look forward to the prequel! 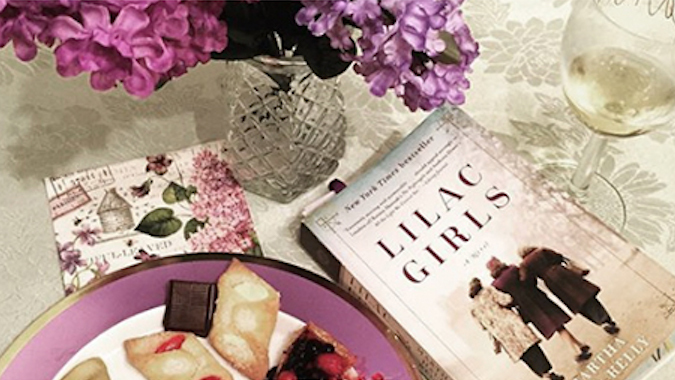 Next postLike to Give a Signed Copy of Lilac Girls for the Holidays, Inscribed to Someone Special? Just call Hickory Stick Books.